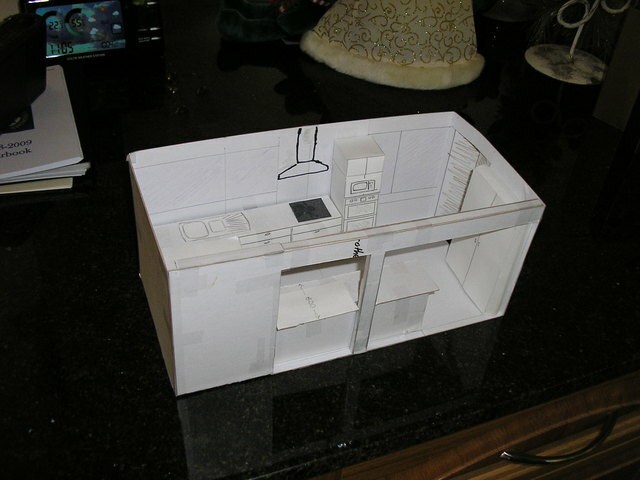 At least the last we will probably ever have built - after all I am 60 in a few weeks, and the last kitchen lasted nearly 30 years. Our old kitchen was put in when our son was 8 months old and he has now passed his 30th birthday, so it did well. When we bought the house it had a kitchen just 2.7 metres square (9 ft square) with 2 doorways which robbed it of about a third of its space. 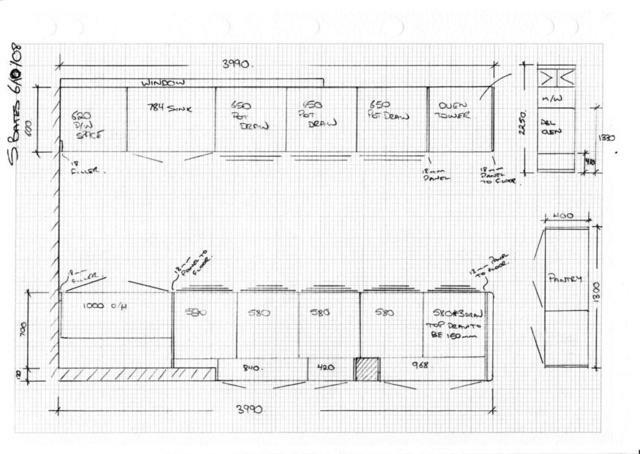 I designed a new layout in 1979. By walling up the doors and putting a new door in another wall we got much more space. However, going for maximum storage space isn't always the best way, as we learned over the years. 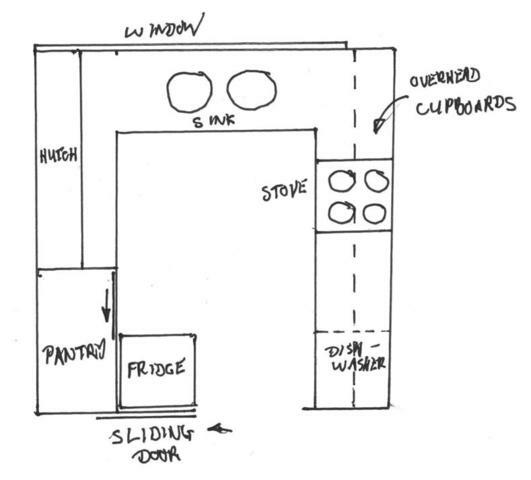 Corner cupboards and a corner pantry sound great in theory but are not so useful. You either don't use the out of the way parts, or fill them with things you can't reach and end up forgetting about. And it was still the same size kitchen overall. Much better than what we had, but not so useful as we had hoped. 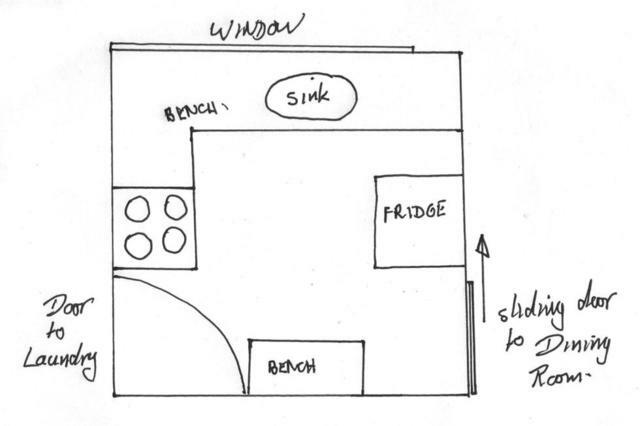 What was wrong with the old kitchen? 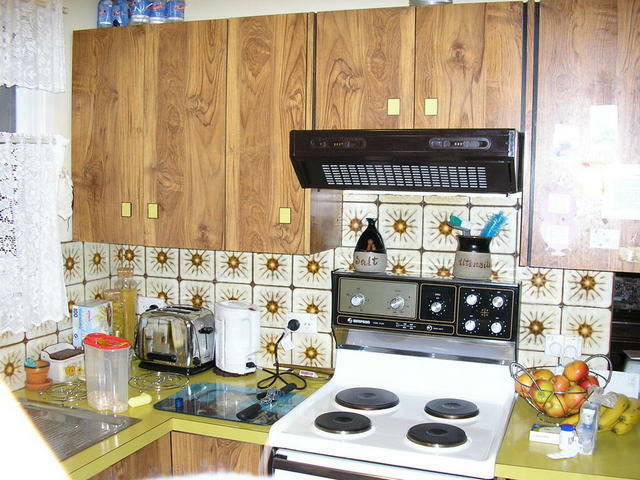 Construction was typical for the 1970s, melamine covered chipboard in a fake woodgrain, with melamine covered bench-tops. After nearly 30 years it was looking shabby. The doors where swelling at the bottom, one cupboard had water-damage from a roof leak, and the drawer unit from a dishwasher leak. After nearly 30 years crouching to get things from low cupboards was getting hard on our bodies, especially knees! Twice as big! 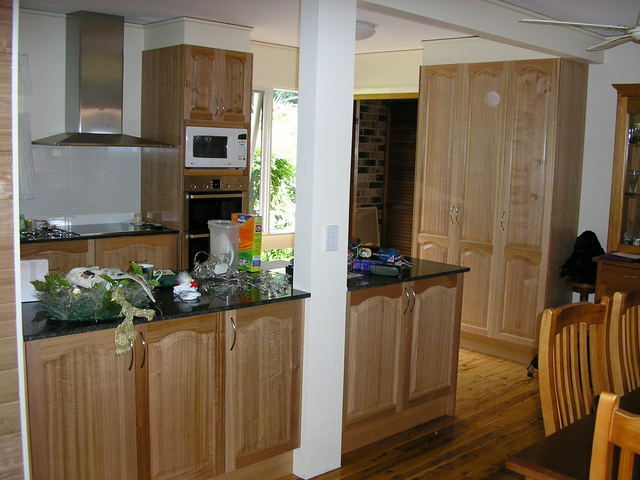 - we had extended the house some years after the kitchen, so what was once our tiny dining area was spare space. A wall and a half came out and voila! 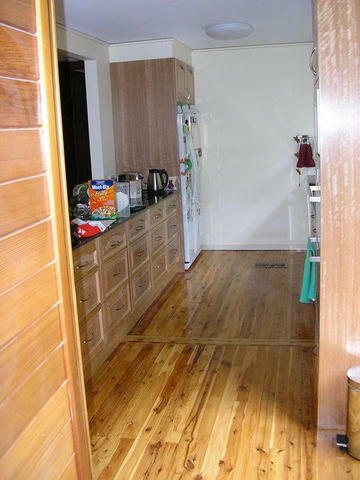 - a double sized kitchen. No corner cupboards at all - we went for a "galley" style. A beautifully quiet and effective Siemens range-hood, ducted to the outside. It was going to be a Bosch DKE985CAUSS, but there ended up being none in stock when we needed it, so we were offered the Siemens LC75952 instead - made in the same factory and identical in specification, with just minor cosmetic differences. The fan is quiet enough for conversation at the stove, even on the maximum power setting, and almost inaudible on the lowest setting. Yet it is so effective that we no longer have the smell of lamb or fish through the house after a roast. The rangehood and the other new appliances came from Winning Appliances - their range of appliances on display is huge, the service was very good and the price competitive. 22 drawers in total, which replace almost all the below-bench cabinets. 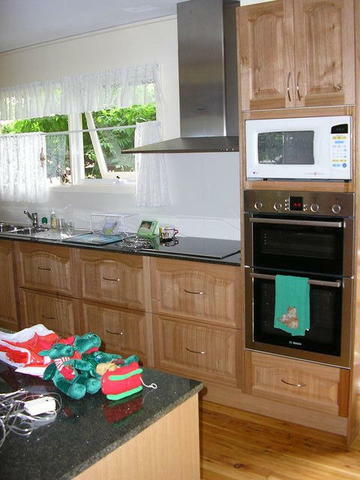 Drawers use Blum self-closing roller slide mechanisms which make using them (with heavy loads of pots, crockery, etc.) easy. Its soooooo much better than crouching and reaching into low cupboards.